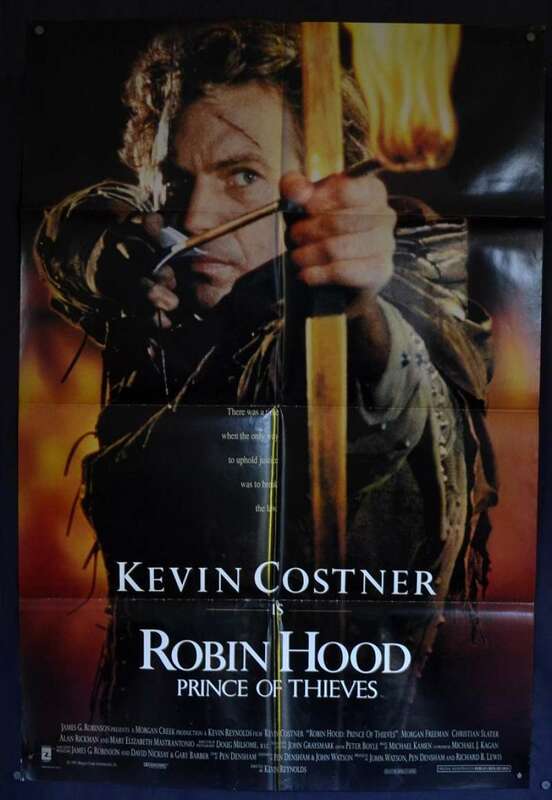 Robin Hood:Prince of Thieves is a 1991 American romantic action adventure film. 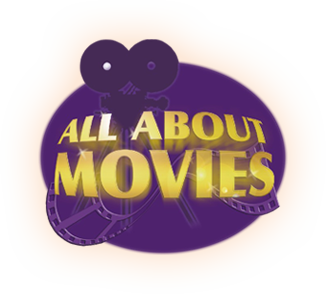 The film, an iteration of the legendary English folk tale, was directed by Kevin Reynolds. 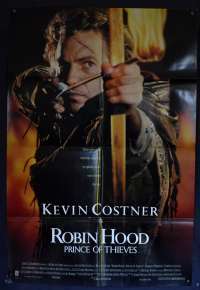 The film's principal cast includes Kevin Costner as Robin Hood, Morgan Freeman as Azeem, Christian Slater as Will Scarlet, Mary Elizabeth Mastrantonio as Maid Marian, and Alan Rickman as the Sheriff of Nottingham.The film grossed over $390 million worldwide, ranking as the second-highest-grossing film of 1991. For his role as Sheriff of Nottingham, Rickman received the BAFTA Award for Best Actor in a Supporting Role. The film's theme song, "(Everything I Do) I Do It for You", by Bryan Adams, was nominated for the Academy Award for Best Song and won the Grammy Award for Best Song. Edge Wear / Stains: No stains, minor edgewear in random places. Folds and Creases: Folded As Issued, minor fold wear. Comments: Advance artwork - of Costner in character.